We have a fully equipped studio which incorporates the full system of apparatus designed by Joseph Pilates. We feature authentic New York GRATZ equipment. Individual instruction is both challenging and a highly effective manner in which to begin your Pilates practice. Comprehensive lessons are tailored to your individual strengths and weaknesses, compensating for any physical limitations or injuries. 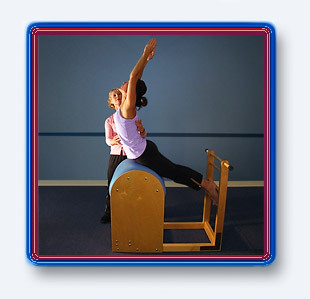 Duets are ideal for two people who are at the same fitness level and wish to do Pilates together using the apparatus. Working with a duet partner can make the sessions more affordable. Mat classes offer a series of exercises designed to connect you to your Powerhouse, while emphasizing flexibility and making you stronger. Class sizes are kept to a small number of students so as to ensure maximum personal attention and safety. • All sessions are by appointment only, including mat classes. Please telephone us to reserve an appointment time. • All sessions are 60 minutes. • Gift certificates are available and make a great gift. 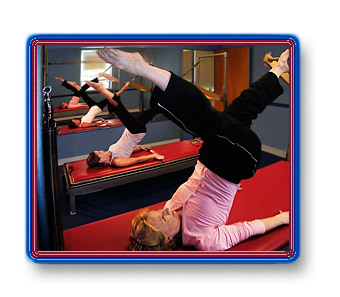 • Genuine Pilates has a 24-hour cancellation policy. Please telephone us 24 hours in advance to change or cancel any appointment to avoid being charged for the full price of the session. • All Pilates sessions and packages are non-refundable. All lessons and gift certificates expire one year from the date of purchase. Copyright ©2008-2014 Genuine Pilates, L.L.C.